By buying this product you can collect up to 382 bonuspoints. 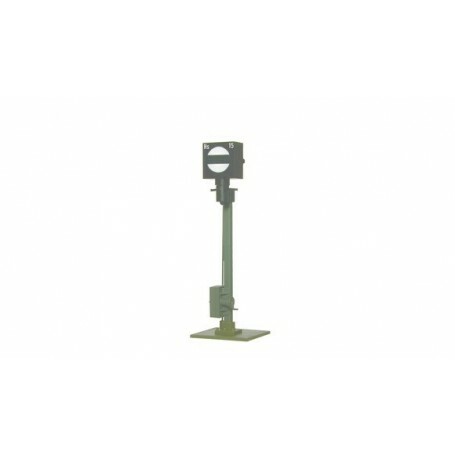 Semaphore stop signal with ground socket. With filigree brass mast, authentic varnishing and under baseboard drive unit. Disk is moveable and lighted. With one LED, maintenace-free. Signal pictures Sh0 and Sh1.